I’ve been holding on to my old makeup products for way too long. I’ve really been in the mood to organize my very teeny tiny vanity where I keep all my makeup. Just look at the photo below. So I decided it was time to do some decluttering. 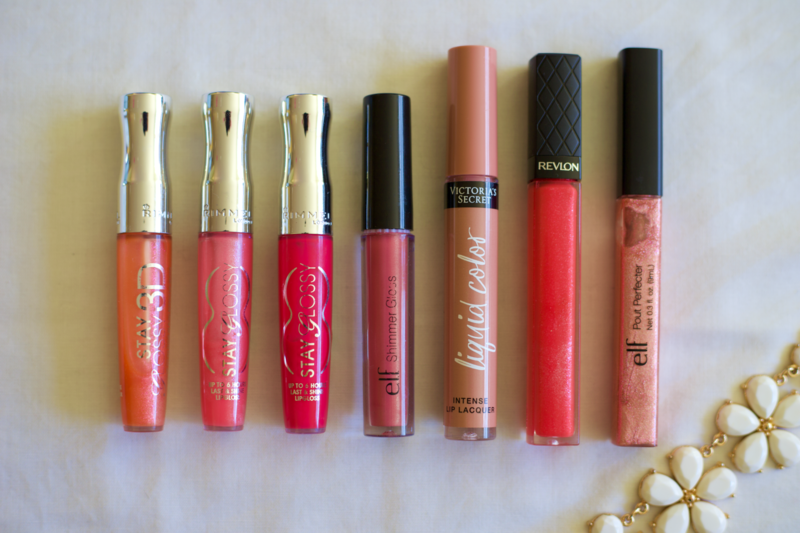 I figured I would start with all my lip products and eventually continue with the rest of my makeup. 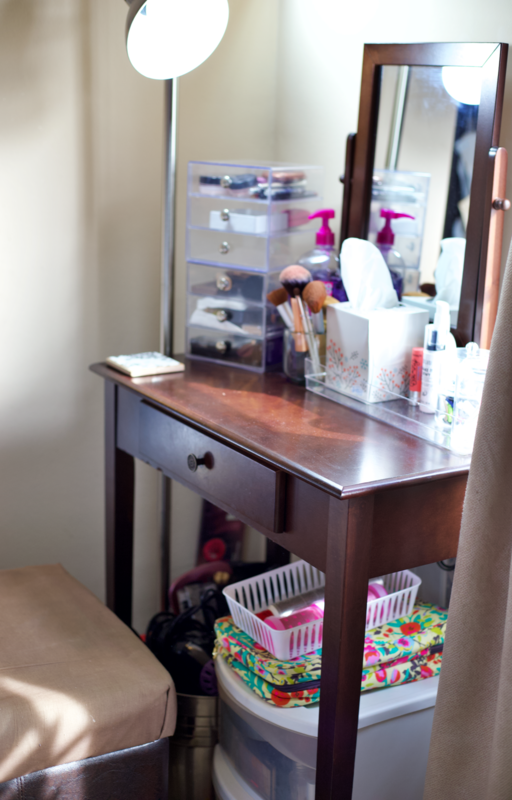 Once I’m done decluttering, it should be fairly easy to organize my vanity. Okay, soooooo, I know we are supposed to get rid of makeup after a certain amount of time but, truth be told, I never follow any of those rules. I’ve never had an issue, thankfully, with using makeup that was considered expired and seriously, who wants to get rid of their favorite tube of lipstick just because you’ve owned it for a long period of time? Not Me! Just because I haven’t been good about following all the rules doesn’t mean I’m suggesting you do the same. If you search online for makeup decluttering rules you’ll quickly find recommended expiration dates and some (scary) words like bacteria and infection! I may just have to re-think this whole love affair thing I have with my old makeup products. Anyway, if you are thinking about decluttering your makeup you may want to check out Realsimple.com’s makeup expiration guide. 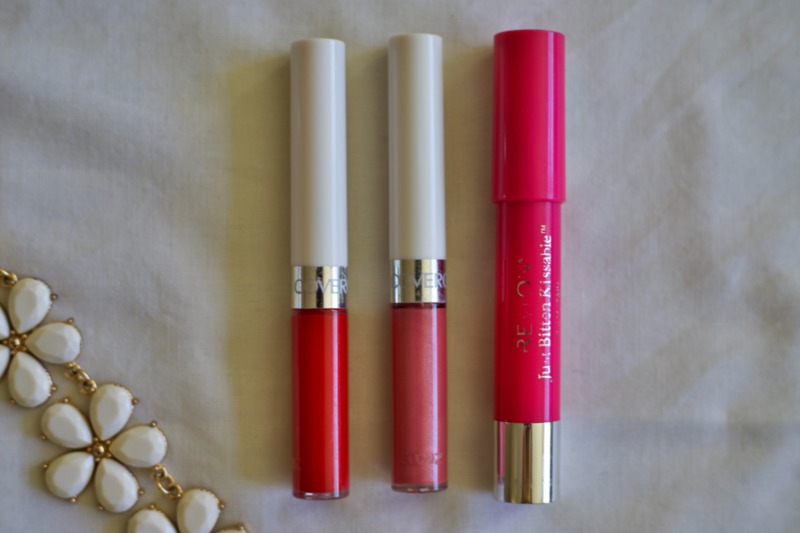 They give a nice, simple break down for how long we should keep around our beloved lip products along with every other type of makeup product we love to slap on our faces in the morning. After reading up on expiration dates and everything else makeup/lip product declutter related (so fun) I decided to come up with a few questions I can ask myself to help declutter my lip products a bit easier. Hopefully, these questions can help you out as well. 1. Does it spark joy! 2. Does it smell bad? 3. Has the color or texture changed? 4. When was it last used? 5. Will you ever use it again? 6. Is there a similar shade in your collection? Let’s talk about these questions. Basically, ask yourself if what your holding in your hand and considering to get rid of makes you happy. I think this is a great way to decide if something should or shouldn’t be tossed. If it makes you happy, answer the next few questions to help you decide if you should or shouldn’t keep it. If it doesn’t make you happy, then there’s (probably) no need to go any further. Just get rid of it. Both number two and three popped up a lot while I was searching. I guess we can all agree that if it smells bad or if the color and/or texture has changed well then that’s a no brainer. The product has to go. Let’s face it, it’s kind of entered the…. I’m sure I read about that zone somewhere. It really does exist guys!! Next, ask yourself when did you last use that tube of lipstick and will you ever use it again. If you haven’t used it in a long period of time, chances are you may never use it again. Or, you may find a few hidden gems (like I did) and decide that there’s a chance you may start using them again. If you do find a few hidden gems, I suggest storing them somewhere that you can remember to use them. Give yourself a time frame (maybe 1 month) to use them. If you never reach for them during this time frame then I think it’s safe to say that it’s time to say goodbye. 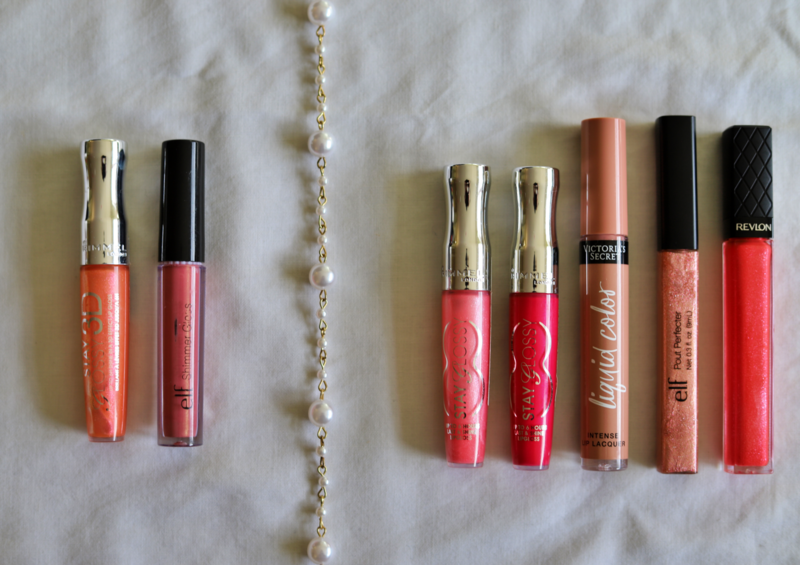 Finally, do you have another lip product in your collection that has a similar shade? If the answer is yes then decide if you can keep one and live without the other. Use a mirror and apply the lipstick or swatch it on your arm to get a good idea what you are working with. 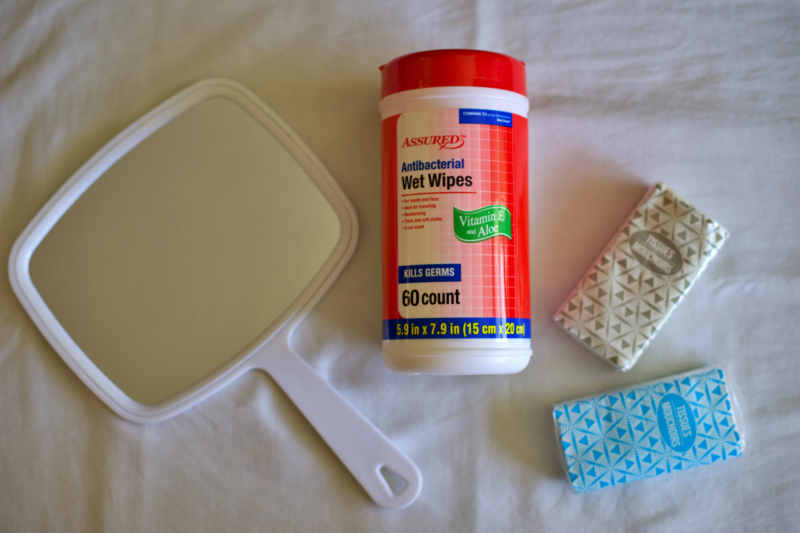 A large mirror (so you have a good idea how the lipstick looks on you), tissue and/or wipes. I just had antibacterial wipes with me but you can also use makeup removing wipes of course. 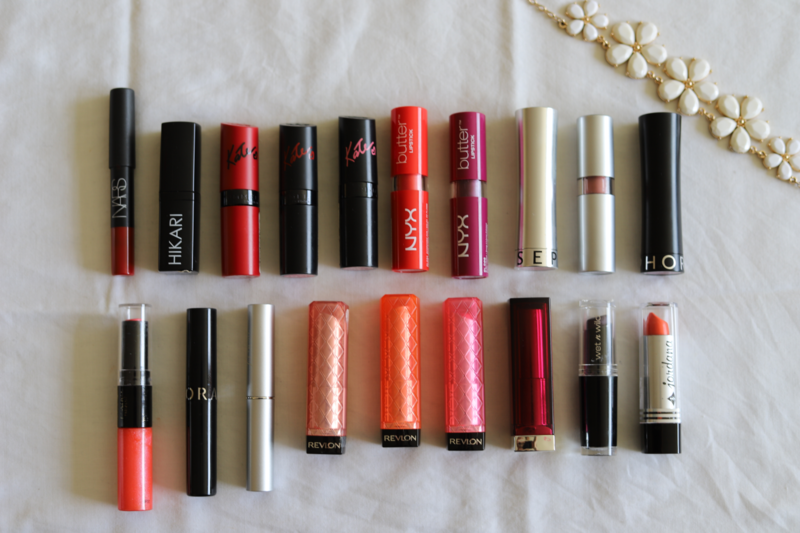 I started off with 37 lip products. 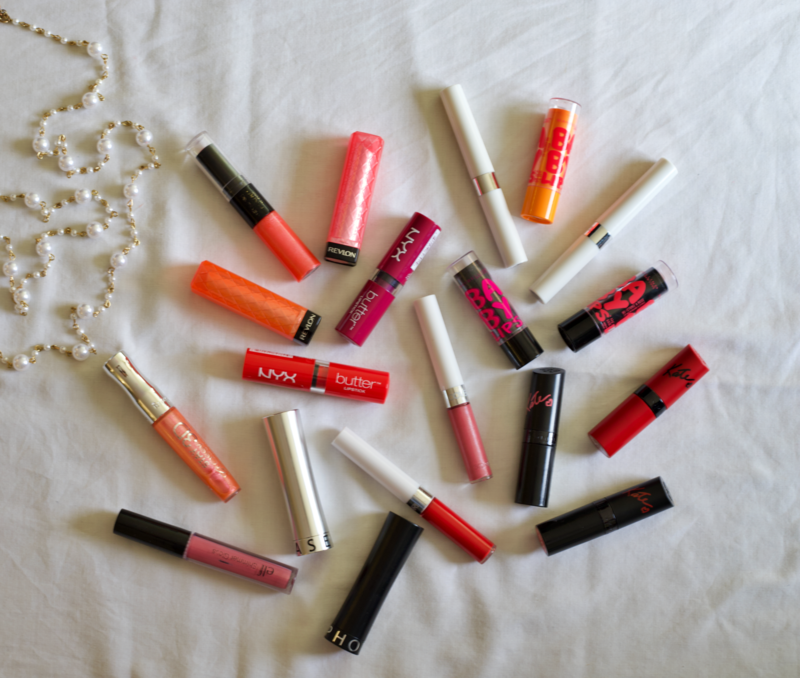 I separated them by category: lipsticks, lipglosses, lip stains and whatever felt more like a lip balm I placed in a, well uh, lip balm category. 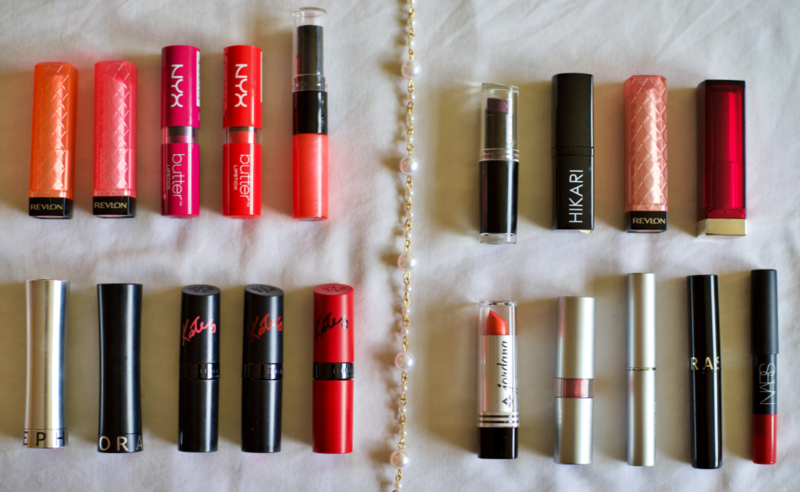 I started off with 19 lipsticks before decluttering. Most of them are from the drugstore. A handful were from Sephora. 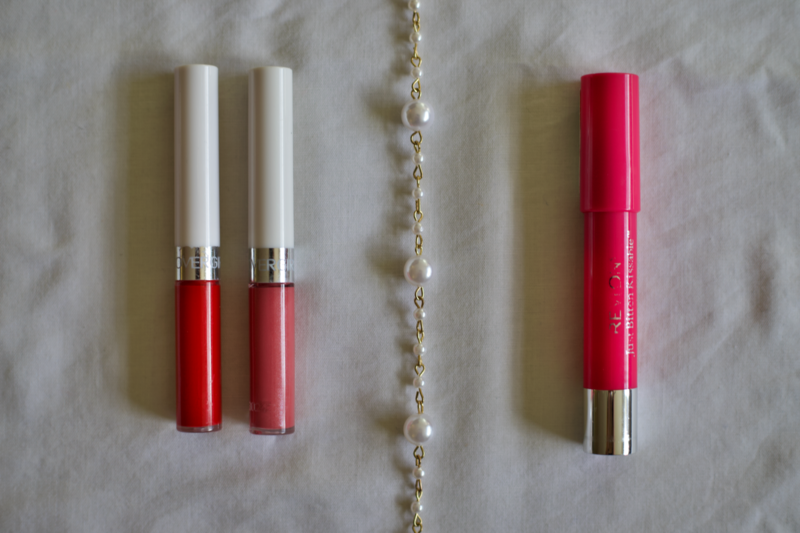 I started with 3 lip stains and ended up with 2, both are Covergirl. I love drugstore makeup! After decluttering I’m left with 5. 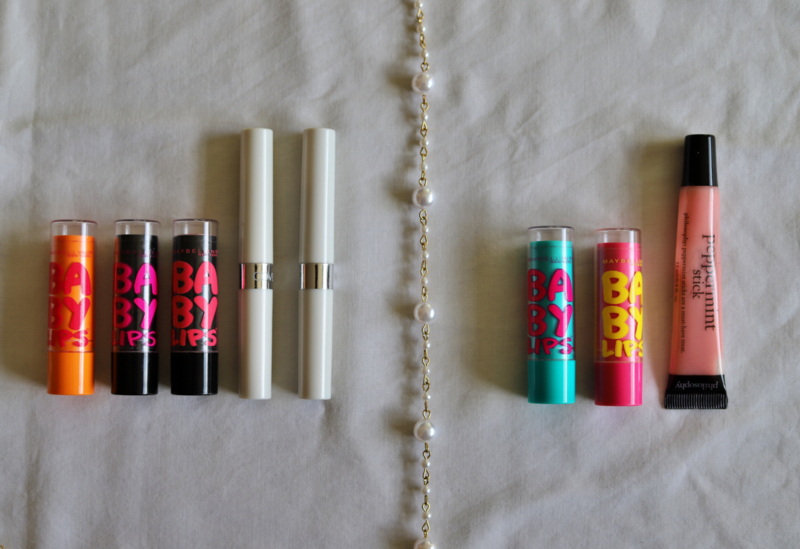 I decided not to go into the actual names of each lip products. I figured that may be kind of boring. But if you are interested in any of the names please let me know and I’ll be happy to share that with you! So now I’m left with 19 lip products. I guess that’s not too bad considering I started with 37. 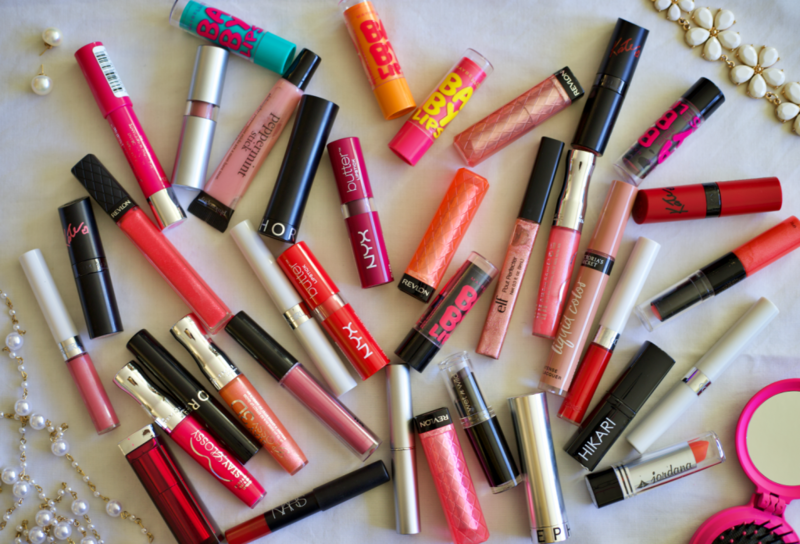 Wow, I can’t believe I had 37 lip products!!! Ok, that’s it for now! Hope you enjoyed this and found some useful tips.